The next artwork on our list was made by Steve Lawler alias Mojoko . This artist succeeded in constructing a specific aesthetic by embracing various images of popular culture . 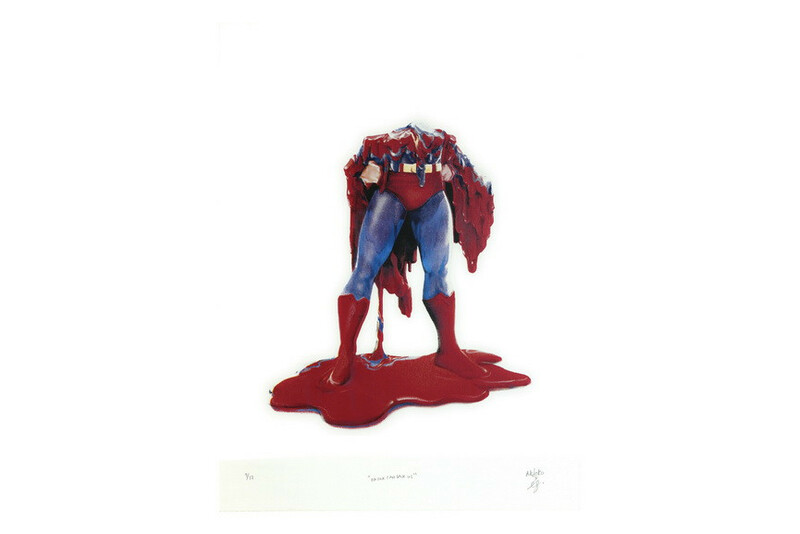 Trashy, but witty and multifaceted, his works receive the contemporary spirit; Through curation, installation, and interactive design, painting, collage, and drawing, Mojoko expresses his creative visions of printing with a half-melted Superman figure .